Jared Lillis has worked with children and youth for most of his career, including at a YMCA, a pediatric clinic, and church. From a very early age he knew he wanted to be an artist. At a not-so-early age he realized it would be great to create artwork and stories. He now hopes to help youth realize the value of developing writing skills by mentoring tweens and teens as they write their very own novels. 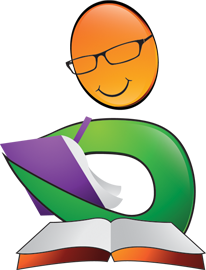 Through his youth writing program and publishing company, teennovelist.com, students can overcome the fear of writing and work toward the publication of their novels. Jared also hopes to make an impact on the environment by publishing his books, along with themed school supplies, on wheat-straw paper. Meet Jet, a scrappy groundhog that must work with humans and forecast lightning strikes to save his home from an eco super villain planning to pulp entire national forests with giant, robotic milling snakes. Jet lost his father and hero, Ray, during his first garden raid, shot by their human neighbor, Mr. Trapper. Jet also lost his hearing in one ear and escapes alone over the electric fence, which scars his paws but gives him the unique ability to forecast lightning, in addition to supercharging his other weather-forecasting abilities. Groundhogs: The Supercharged Forecaster by Jared Lillis is one big fun adventure from start to finish. The clever and funny terms such as ‘Sniff-N-Gnaw Snake Pit’ and ‘Warning Whistle Climb’, coupled with the engaging prose and eye catching illustrations (a must if you want to attract young readers), meant that even I as an adult found the story highly entertaining. I also like the way the environmental message is presented through the plot, making it easy to understand as well as making kids think about taking care of nature while having fun with Jet’s adventure. Young readers will definitely root for this brave groundhog in his quest to save his home. All in all, author Jared Lillis has done a really excellent job here. Groundhogs: The Supercharged Forecaster is imaginative, and a clever way to teach children about the importance of taking care of the environment. I’m interested to read more of Lillis’ work. I highly recommend this book to my fellow readers, especially parents and teachers. Groundhogs: The Supercharged Forecaster is an action and adventure novel for children written by Jared Lillis. Jet couldn't be more different than his twin brother, Sonny. He's excited to be going out with their father on his first mission against the humans who are encroaching on the forests where their burrows are located. Sonny, however, is more cautious and, while realizing this mission is really a rite of passage, Sonny just can't get over his fear and need for security. Their dad respects his other son's decision, but reiterates the purpose of their mission, and Jet and he set out. On their way to the human's land, Jet's dad gives him the forecasting talk. It's something every young groundhog hears when they reach a certain age. When they reach the Garden of Dangers, where the human and his dog live, Jet is amazed to discover that their dwelling is not beneath the earth, like theirs. As they attempt to harvest some vegetables from the human's garden, chaos erupts. A storm breaks out overhead; the dog is alerted to the groundhogs' visit; and Trapper, the human, comes out and shoots at Jet and his dad with his rifle. Jet survives the attack, but his father was lying there motionless and would not wake up, forcing Jet to leave without him. 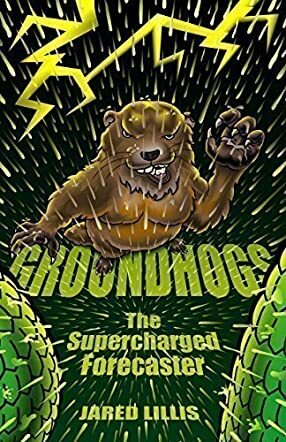 Jared Lillis's action and adventure novel for children, Groundhogs: The Supercharged Forecaster, is a fast-paced and exciting tale that will thrill children of all ages. The author's plot blends animal rights and environmental concerns with the fantasy, science fiction and coming of age genres into a rousing tale about one small groundhog cub's fight to save his community from bulldozers and worse. The interactions between Jet and Heath, a former meteorologist who is determined to show how accurate a groundhog's ability to forecast the weather actually is, are marvelous to watch. Jet has to learn to temper his feelings of hatred and anger towards all humans, and he does so grudgingly and with the occasional snarl, but watching as he expands his horizons is a joy. The villain of the tale, Cutler, is menacing, evil and just a little bit insane, and the vision of him striding through the woods on his retracting stilt-shoes is one I won't be forgetting very soon. I loved this book! It's intelligent and filled with wisdom, but those aspects never get in the way of a fun-filled action and suspense tale. Groundhogs: The Supercharged Forecaster is most highly recommended. Groundhogs: The Supercharged Forecaster by Jared Lillis is a children’s action and adventure story. Jet is a determined little groundhog. When his father is shot by a human, Mr. Trapper, Jet vows to get his revenge. Jet was scarred in Mr. Trapper’s attack, a scar that gave him the unique ability to predict lightning. This becomes an invaluable service to his kind. But soon Jet realizes that Mr. Trapper isn’t the only one he should be worried about. In the woods, an evil genius plans to cut down the trees in Jet’s home and destroy all of the beautiful woods with a team of mechanical snakes. The snakes can grind down trees and ship them to the mill faster than Jet can yell for help to try to stop the destruction. Jet doesn’t know if he is fast enough or smart enough to escape the snakes. If he does escape, how will he ever come up with a plan to stop them? Groundhogs: The Supercharged Forecaster is such a cute children’s story. And yet it isn’t just a story for children. 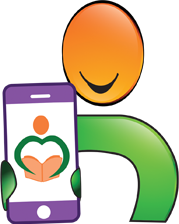 Parents will love the positive messages that Lillis promotes. Groundhogs include interesting topics for children like animals, forests, nature, preservation, and conservation. I also liked the way Lillis described the relationship between the animals and humans. I thought it was interesting and well-written how that relationship changed when the mechanical snakes came into the story. This is a very well thought out and entertaining story that children will absolutely fall in love with. Jared Lillis wrote a fun and cute story in Groundhogs: The Supercharged Forecaster. Jet is a groundhog with the power to forecast lightning. Unfortunately, he gained this special talent the night his neighbor, a human called Mr. Trapper, shot Jet’s father. Jet wants revenge against Mr. Trapper. He tries to win the Head of Burrow Security at the burrow security trials. His plan is to lead his fellow groundhogs into a war against Mr. Trapper. But Jet loses to his brother Sonny. Now he worries he’ll never get the revenge he so desperately seeks. But one night in the forest, Jet discovers a terrible secret, so terrible that it makes Mr. Trapper look like the Easter Bunny! There are strange mechanical snakes in the woods, and they are chopping and grinding down all of the trees that Jet and his groundhogs call home. Jet is discovered before he can warn his fellow groundhogs. He knows he has to escape if he has any chance of saving his homeland. Groundhogs is a funny and clever story that readers of all ages will love! Lillis wrote such a wonderfully witty story, with vibrant, over the top characters that young readers especially will enjoy. I loved the idea of bringing these animal creatures to life and educating young readers while entertaining them at the same time (so much that they don’t even realize they are learning!). I liked the fact that Jet had to band with his fellow groundhogs to fight off an enemy that was trying to destroy his home, and I liked the environmental issues that Lillis was able to throw into this story as well. Jared Lillis’ Groundhogs: The Supercharged Forecaster is action packed from page one. The story’s energetic hero, a groundhog named Jet, sets out on a scrappy, fast paced adventure. He takes readers through the aptly named Garden of Dangers and into the human world, all in an effort save his family and protect his fellow groundhogs from determined and detrimental loggers. Jet becomes an accurate weather forecaster, thanks to his ability to predict lightning. This is a feat that comes in handy as Jet squares off against humans and machines. At first, he is determined to get revenge on Mr. Trapper. But when he learns about the mechanical snakes invading his forest, Jet realizes that not all of his enemies are created equal. On his journey, he also makes new friends and a surprisingly ally or two in his attempt to save his friends, family members, and those he loves. Groundhogs is entertaining and imaginative. 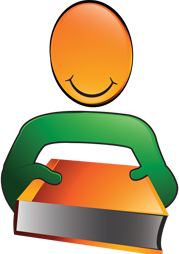 Lillis has a creativity that is perfect for this age group and target audience. 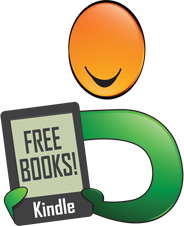 The writing is funny and clever, and kids will love all of the antics of sweet and energetic Jet. But this story is also educational and teaches children about the importance of protecting the environment. So parents and adults will love this book, too. It is a great story to read together and start a dialogue about animals versus humans, and what we should and shouldn’t do when it comes to nature and our place in it. Thank you, Jared Lillis, for opening up these channels of conversation!